Pair of reproduction modernist ( that sounds a bit lame but I don’t know the original maker*) armchairs 490 each, French antique mirror 365, Sessions clock USA 120. 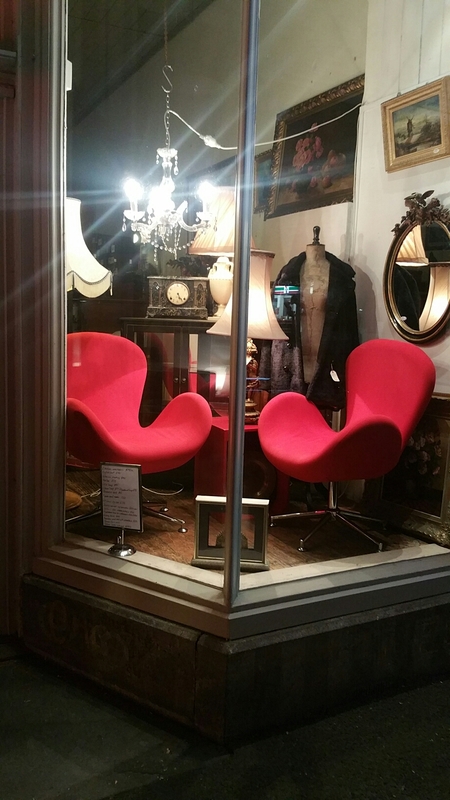 *We are reliably informed that they are Arne Jacobson Swan chair copies. Many thanks to Catie for sharing her knowledge with Grays. 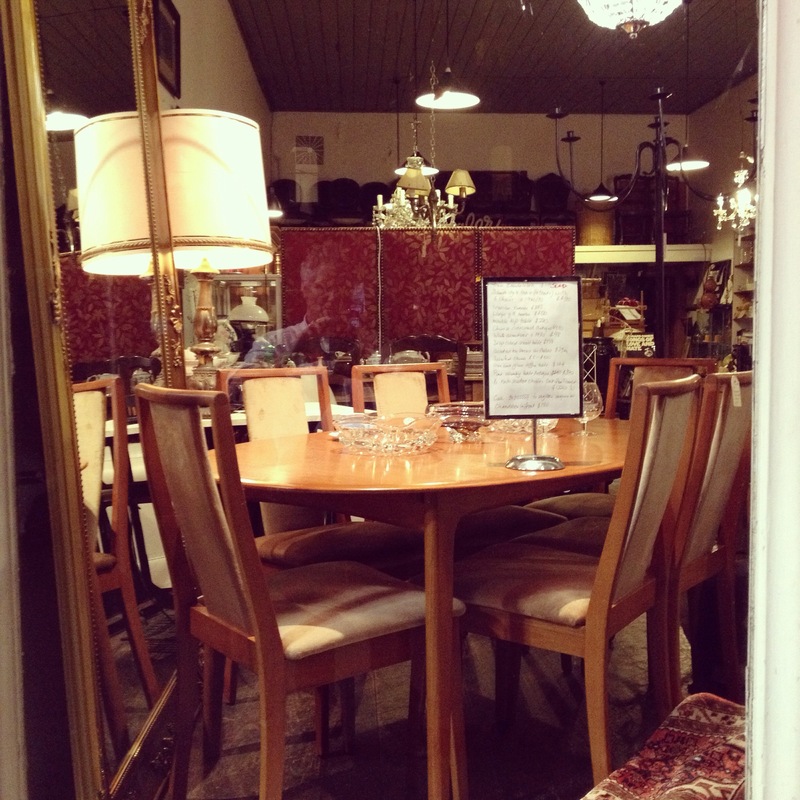 70’s extension dining table with 6 matching chairs ( would seat 8/10 open). $485.